Proline Products was formed by Brent Mossman, previously a shareholder of a major New Zealand orchard and pack house operation, Apollo Apples. After working in the horticultural industry for some years, Brent has developed a good understanding of the industry and the practical needs of growers. After many sales trips to China, he began developing innovative new products to help growers reduce production costs, maximise yield and produce greater volumes of high colour apples. His dealings in China led him to a family owned factory able to consistently produce high quality materials. After trialling early versions of reflective cloth and recording the results, Proline started selling ColorIt reflective cloth in 2008. In the same year a research and development program was established to drive continual improvement of the manufactured product. The company’s constant drive to innovate and provide practical solutions to growers saw the development of the GatorClip, designed to secure the reflective material in place without damaging the product and causing tractor tyre punctures. A further enhancement to the GatorClip is due for release in 2018. In 2013 Proline engaged a US based consultant to better understand the needs of the North American market. One of many insights gained was the need for a new product that combines the burst of colour offered by Mylar Foil, with the longevity and durability of woven fabric. In 2014 SLVRLining began production in trial quantities. A year later, the first commercial quantities were sold. Today, growers from around the globe are discovering the unique advantages this product provides. 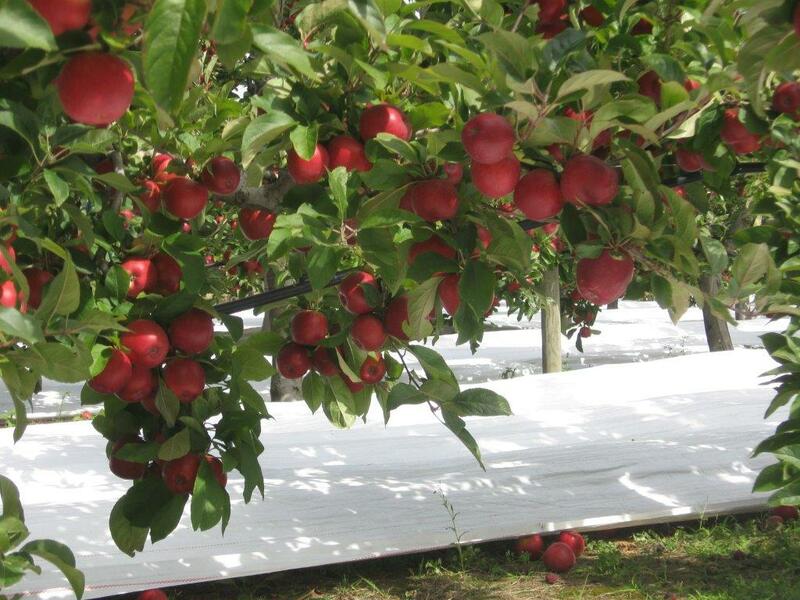 Proline has continued to innovate, developing ProTect cherry rain covers and CoverNet anti-hail and anti-sunburn netting systems. Recent trials of a CoverNet mechanical net applicator look very promising, as the company moves to consolidate its position as an industry innovator. Proline’s desire to provide an end-to-end service to our US customers resulted in the establishment of a logistics base in Washington early in 2017. Proline Products USA Inc. was established later the same year.